There are 3 reviews of Greene Street. I am voting "neutral" on this, but that is somewhat charitable. Really -- shouldn't a scent with GREEN(E) in the title be at lease somewhat green in style? This isn't. The basil is missing in action. This is a basic spicy scent, at times a bit sweet. Perhaps there is a hint of incense and resin, but not much more. Violet and geranium? Likewise nowhere to be found. The spice is OK, at times bland but at other times a bit "dirty" and interesting. However, the drydown is a bit sweet and ambery, and I don't like it. I think this an awful mess. Peppery iso-e-super with nose-bothering acrid, dry spices, something green, and a huge musky ambery base. The first hour is the worst, after which the amber-musk base comes to the fore and even then it is no better than barely acceptable. Etro describes this as 'a very spicy and rebellious symphony'; 'cacophonous' would be more accurate. Nothing seems to blend. Perhaps this was intentional, to justify the 'rebellious' moniker. Well, whatever, it just doesn't smell good. Longevity is average, thanks to that ten-a-penny musky amber base. Ah – suddenly I’m half my current weight, 20 years younger, not a grey hair in sight, and striding through a buzzing neighbourhood wearing an open-necked, crisp white linen shirt. Any perfume that makes that fantasy pop up is doing something right. 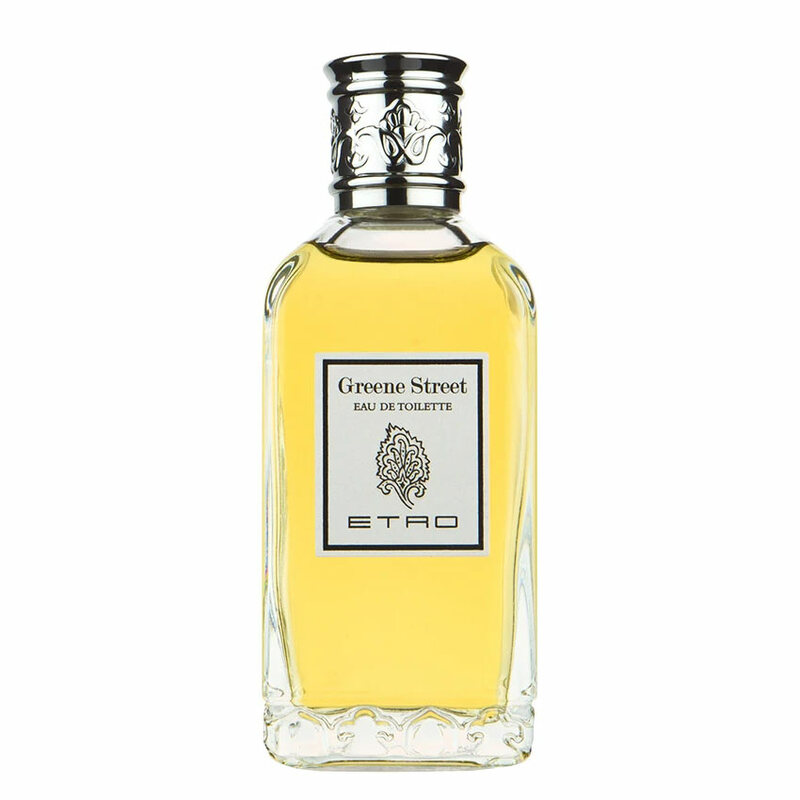 Greene Street has a sense of dynamism about it which I suspect comes from a well-judged balance between fresh tones (some of them green) and the depth charge of spices. Add to the mix powdery and soapy facets, and I’m probably making this sound like a real no-no. But the end result is salubrious with a capital S, enough to put a spring in my step and ready to take on the day. Its volume is also well-judged, present but not overwhelming. I’m not making any claims that Greene Street is wildly original; I’m sure better educated noses will identify a dozen fresh spicy ‘masculines’ which it reminds them of. It just does well what it does. There are no member images of Greene Street yet. Why not be the first?